RUSH: Remember during the Reagan administration — some of you may not, so let me just tell you. The Drive-By Media, the Democrat Party was scared to death of the way Reagan talked about the Soviets. When Trump also starts talking about our American enemies in similar ways to Reagan, they have the same reaction, “You can’t do that. Oh, my God, you’re gonna get us all killed, oh, my God.” Guess what they’re mad at today? They’re media at Donald Trump saying that Kim Jong-un is basically a nice guy. They’re mad that Donald Trump is complimenting the little potbellied dictator. They’re mad that Trump is treating him with respect. They say it’s a sign that Trump is an idiot, that Trump is being played for a fool and for a sucker. Trump is actually behaving the way they always demand when Republican presidents are in office, and still they do a 180 and become hypercritical of it. They’re not even stopping to try to think what Trump’s strategy in all of this might be. I’m gonna put something out there. I expect to be ridiculed for this in certain sectors of America. But it’s all based on just watching what I saw. And I saw a 71-year-old guy, seemingly indefatigable with just boundless energy, shepherding a young tyke along with him, showing him the way, making sure that he didn’t do things to embarrass himself, not trying to one-up the young man. I’m talking here about Kim Jong-un, the murderous tyrant, dictator thug of North Korea. I detected what seemed to me like a bit of paternalism, like Trump might have been looking at this guy as a young kid that needs to be taught things, shepherded along, maybe shown a different view of life, maybe expand his horizons much like every parent wants their child to open up and experience things and see the world. I’m watching this, there’s a photo of ’em now walking toward a microphone. I do not see Kim as Trump’s equal in either stature or age, and certainly not in achievement or accomplishment. Kim Jong-un is there because his dad and grandfather were there. And just side by side, Kim Jong-un is not even in Donald Trump’s class. And I fully expect to be raked over the coals as a naive, inexperienced, don’t know what I’m talking about person by the so-called experts we previously discussed in the Drive-By Media. But I have no doubt that when Donald Trump looks at Kim Jong-un, he does not see a superior. He sees something and somebody entirely different. Speaking of Kim Jong-un, let’s back away from all this for a moment. Can you imagine how he’s been kicking himself? I mean before this summit started, can you imagine how this guy been beating his head against the wall? After all, look at what he has seen. The president before Donald Trump was Barack Obama. And what did Barack Obama do to make deals with our enemies? Why, he gave them nuclear power. 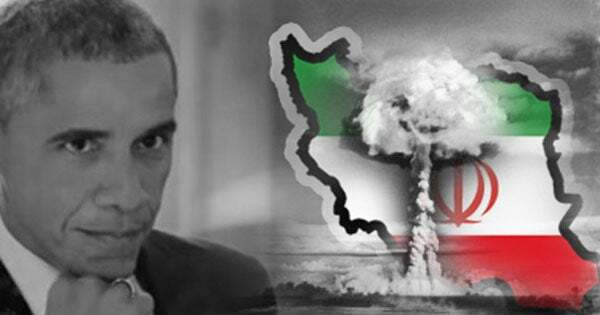 He enabled them to make nuclear weapon weapons, and when that wasn’t enough, Obama delivered $150 billion of cash on pallets to the Tehran International Airport for the mullahs to come and sweep up and take back to their palace. Trump said, “Hell, yes, it’s a bad deal. We got this deal out of North Korea without having to deliver $150 billion to their airport.” And of course Stephanopoulos was just speechless. Let’s see what we’ve got here on the audio sound bite roster here. Oh, this is good. I asked Cookie if she could go back and find media reaction to the Obama Iran deal. I figured that’d be a great contrast ’cause I know what it’s gonna be. Slavish praise, sycophantic, kissing-up devotion. 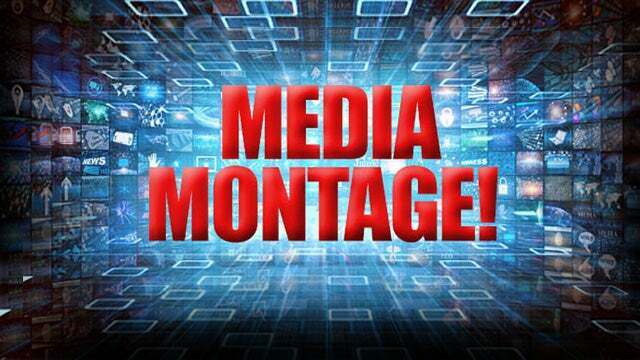 We have a montage here of Martha Raddatz, Terry Moran, David Muir of ABC, David “Rodham” Gergen, Madeleine Albright, the New York Times’ David Sanger, Jeffrey Goldberg who I talked about earlier who has this amazing piece that I’ve gotta get to today. In fact, I’m gonna get to that next after this bite. And Charlie Rose before he was nabbed the for all the sexual abuse. This is 2015, July 14, 2015, this montage, Drive-Bys praising Obama’s Iran deal. 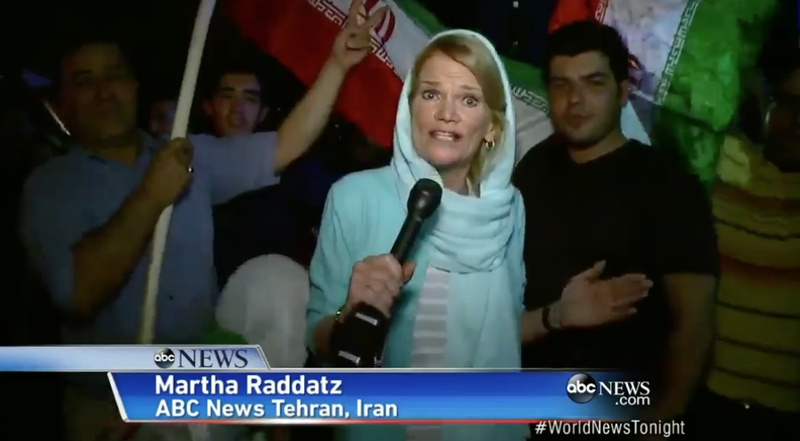 RADDATZ: Coming to you from the very noisy streets of Tehran, celebrating the historic deal between America, its partners and Iran, those punishing sanctions will be lifted. TERRY MORAN: Mr. Obama charting a new course. A new era has begun, for better or worse. DAVID MUIR: A major political victory for President Obama. DAVID GERGEN: American Presidents have negotiated with our deepest, darkest enemies and sometimes they’ve come up with good victories. MADELEINE ALBRIGHT: It’s a good and important deal. It is historic and changes the relationship between the United States and Iran. DAVID SANGER: It’s a huge triumph for diplomacy. A real conversation underway between Iran and the United States. JEFFREY GOLDBERG: It is quite an achievement. CHARLIE ROSE: A triumph for diplomacy regardless of how you make a final assessment. RUSH: See, even if it blew up in Obama’s face, according to Charlie Rose, it was a triumph of diplomacy! And that’s the key. All of these people, they love diplomacy, they love the intellectualism, they love the process. Whether the outcome’s any good or not doesn’t matter because a bunch of smart people got to show off in the deal. That’s what matters. Smart people got to demonstrate how smart they are. Smart people got to show what great diplomats they are. Obama made it happen. Obama making himself look good. Obama making us look good. In the meantime, Obama giving them $150 billion and enabling a nuclear weapons program. Does that matter? Hell, no! What matters is Obama’s style, and he was glib, and he was well spoken, and he came off as intelligent, and that’s all we care about is the style, the surface. Contrast that with a bunch of Chihuahuas nipping at Trump’s ankles ever since this deal was signed last night. And I still maintain that they were shocked by it. I really think these people are so lost in their criticism of Trump that they literally believe all of it now. You know, all this stuff they’ve made up, Trump’s an idiot, Trump is dangerous, they believe it. They don’t think it’s possible for him to succeed, despite the fact he’s succeeding week after week after week right in front of them. RUSH: I never thought that I’d go back to use this sound bite in any way other than a mocking way. This is December 3rd, 2014, Georgetown University during a foreign policy conference. Former Secretary of State Hillary Clinton speaking on her definition of smart power. HILLARY: This is what we call smart power, using every possible tool and partner to advance peace and security, leaving no one on the sidelines, showing respect even for one’s enemies, trying to understand and insofar as psychologically possible, empathize with their perspective and point of view, helping to define the problems, determine the solutions, that is what we believe in the twenty-first century will change, change the prospects for peace. RUSH: Now, the Democrat Party totally endorsed that. The media totally endorsed that. That was forward thinking. This was a reason why we needed Hillary in the White House, respect for our enemies, working with them, helping them to accomplish their most cherished goals. Isn’t that what Trump is being mocked for today by these very people? He held the little guy’s hand, he promised him beach condos and tried to get in his head to understand it would be good for him. I thought Hillary was full of it when she made the comment, but I’m playing this, folks, because this is, in a way, what Trump has done. He’s playing a psychological game with the little guy. And he’s trying to make him think that he’s looking out for him and wants his best interests. And if Kim will play ball, we can change your life, buddy, change your life, change your country’s life. And look at the Democrats saying this guy’s playing Trump for a big sucker, but they never said anybody was playing Hillary for one. Trump has long been talking about North Korea. Listen to this, October 24th 1999, Meet the Press with Tim Russert asking Trump how he would handle North Korea. TRUMP: The biggest problem this world has is nuclear proliferation. And we have a country out there, North Korea, which is sort of wacko, which is not a bunch of dummies, and they are going out and they are developing nuclear weapons. And wouldn’t it be good to sit down and really negotiate something, and I do mean negotiate. Now, if that negotiation doesn’t work, you better solve the problem now than solve it later. RUSH: Donald Trump doesn’t know what he’s doing, he’s not sophisticated, he hasn’t read, he’s stupid. That’s 1999. That’s 19 years ago that Trump told Tim Russert how to deal with North Korea. Let me grab one more phone call in before we have to split the scenes. Columbus, New Jersey. Joe, glad you called. What’s happening? What’s shaking? CALLER: Hey, Rush. It’s a privilege to speak with you, finally. RUSH: Well, you know, now, that’s an interesting point. Part of it is the passage of time. Reagan’s not dangerous now, so they can be a little bit more forthcoming in his praise. But, you’re right. It took people a while. And his point, he was gonna go on and say, we’re out of time. He was gonna say it’s gonna take people a long time to figure out what a disaster Obama is. But, no, Joe, we’re working on that right now.